70 Amp cutting power from 230v single phase! 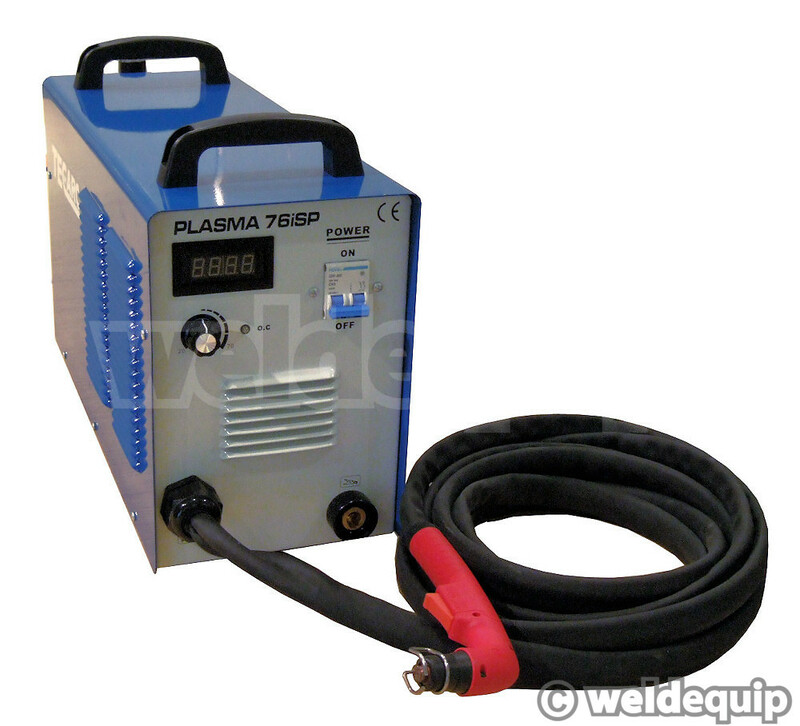 One of the most powerful Plasma machines available that will operate from a 230v single phase supply. Punches out a massive 70 Amps - up to 24mm mild steel - from a 32 amp 230v supply. For most general cutting tasks a 16 amp supply will suffice, and the machine is capable of clean cutting 19mm mild steel, 14mm stainless steel/aluminium, with a maximum severance cut of 24mm on mild steel. Fitted with a 6 metre genuine Trafimet CB70 torch assembly – one of the industry standard plasma torches – for reliable, very precise cutting and economical replacement of consumable parts; probably the lowest in the industry for a professional level machine. The 76iSP features a digital meter that accurately displays the cutting current, and an Air Regulator with built in filter & water trap is supplied ready for ‘out of the box’ operation. Requires a compressed air supply of 165L/min (5.8cfm) @ 5 bar (72 psi) pressure.